One of the reasons rock music was frowned upon in its early days was its constant use of controversial lyrics on tabooed subjects. 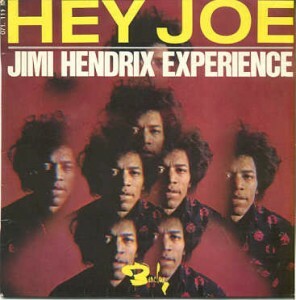 One such song of the ‘60s is Hey Joe which became such a standard that more than 400 bands have covered it so far. The song is about a man about to kill his wife accusing her of adultery and then runaway to Mexico. The song came into prominence in the early ‘60s and has been covered by almost all famous bands of that era. The most popular version, however, is one by the legendary Jimi Hendrix which he recorded in his first album with his band The Jimi Hendrix Experience. The exact origin of the song is unknown. The lyrics of the song are often erroneously credited to American musician Chester Powers aka Dino Valenti. The copyrights of the song however, rest with songwriter Billy Roberts who registered it in 1962. During 1965 and 1966, the song was recorded by a number of popular bands such as The Leaves, The Standells, The Surfaris, Love and The Byrds swiftly making the song a garage rock classic. Folk rock singer Tim Rose recorded the song in 1966 and it was a much slower song. Hendrix got inspired by Rose’s version of the song and made a rock version out of it. Hendrix’s version of the song rose to instant popularity and entered top 10 on the charts peaking at #6. The man responsible for Hendrix’s rise to fame was his manager Chas Chandler who had just split up from his group The Animals. Chandler had seen both Tim Rose and Jimi Hendrix play their renditions of Hey Joe and after hearing the imaginative version of Jimi Hendrix with his rough voice and his quirks on the guitar, Chandler took him to London where Hendrix rose to stardom. Interestingly, this song never reached the charts in the United States although it was released there at almost the same time. Wikipedia itself mentions about fifty cover versions of the song by popular artists such as Cher, Frank Zappa, The Who, Patti Smith, etc. Although it would be impossible to write about every song here, a cover version that I must mention is one by Deep Purple since it is the first version of the song that I have heard. Deep Purple covered this song in their debut album “Shades of Deep Purple”. The song starts with a guitar and synthesizer arrangement that sounds like it has been taken from a western movie which fits perfectly with the mood of the song. Although the lyrical arrangement is the same, the beginning and end of the song give it a completely different feel. In one of our earlier posts, we had mentioned that the largest guitar ensemble in the world was in Leinfelden-Echterdingen, Germany, which involved 1802 guitarists playing Smoke on the Water. This record, however, was more than comfortably beaten on the 1st of May, 2009 by a group of 6346 guitarists playing at the “Thanks Jimi” festival in Wroclaw, Poland. While we sign off now with only so much for this song, you enjoy Jimi Hendrix playing the guitar with his teeth while performing this song.